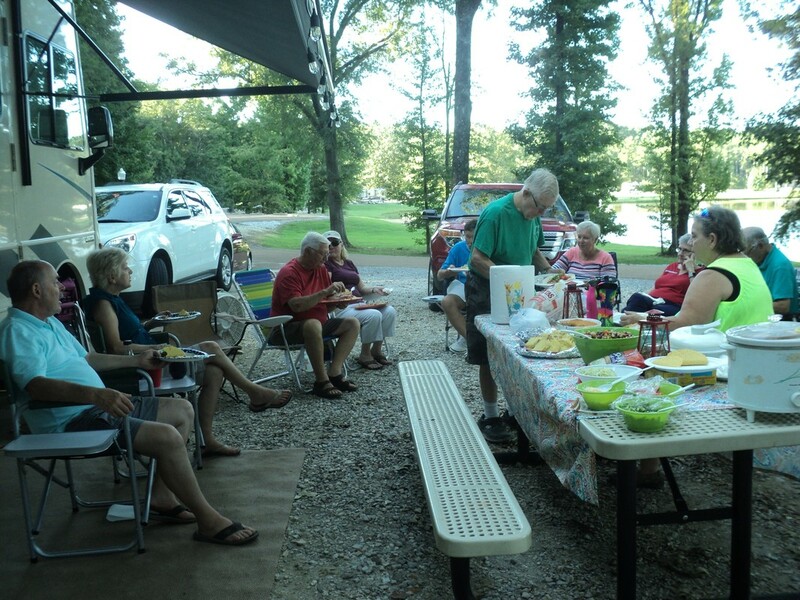 The West Tennessee Travelers held their September campout at North Abutment campground on Grenada Lake, MS. Seven units arrived Sunday to a beautiful sunny day at our campsites overlooking North Abutment Lake. Monday dawned bright and clear. Our chapter meeting was held mid-morning and since it was already quite warm, we spent the next hour chasing the shade behind the Dixon’s campsite. Our meeting was quite spirited as we discussed the merits of possible campgrounds for the 2019 camping season. For our pot luck dinner we gathered at the Shipman’s site where there was plenty of late afternoon shade. Our potluck dinner featured tacos and the makings furnished by the Dixons. There was an abundance of side dishes for all to enjoy. We spent the cool of the evening doing what we enjoy most, talking and sharing our camping experiences with our newest members. ​Tuesday was our dining out day. We decided to visit one of our favorite restaurants in Grenada. The Simply Southern Grill & Buffet offered traditional fried catfish, meatloaf, collard greens, lima beans and a variety of other items and desserts. Of course several of us enjoyed the soft serve ice cream and peach cobbler. Wednesday provided us with another of our favorite pastimes – watching and encouraging our energetic fellow campers with their morning exercise walks around the campground. Needless to say, we did not join them. Mark provided the grill for our evening gathering as we each prepared our favorite grill meats. Of course, Sunday marked another traveling day so we all had to say our goodbyes and head home.